President Maithripala Sirisena requested the Media not to misuse the Media Freedom given to them, by engaging in unethical conduct. He made these remarks at the inaugural Presidential Media Awards ceremony held at the BMICH. He said he was not against constructive criticism and would welcome criticism made for the betterment of the country. The President also said that he will be passive, though derisive criticisms are hurled against him. However, he also advised the Media that, as result of derisive criticism, a leader that would be his opposite would surface and would take drastic measures to control the Media. “During the past four years, there hasn’t been anyone who has been criticised like me, especially in web based media. I am an easy target, as I have no connections with underworld criminals and don’t misuse the Tri-Forces. I dealt with the insults in a quiet manner, but don’t expect that from my successor,” he said. 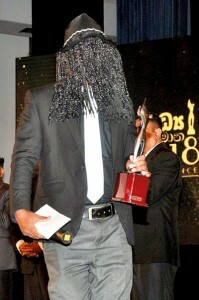 Non Cabinet Media Minister Ruwan Wijewardena, in his address, said the event was the first Presidential Media Awards in the country, and was an important event for the people in this industry. From such events the services of journalists are commemorated and appreciated among people, which elevates the self esteem of the journalists. At the event, 51 journalists from Print, Radio, Television and Web streams were presented awards. Veteran journalists Edwin Ariyadasa, Karunarathna Amarasinghe, Lucian Bulathsinhala and Lakshman Jayawardena were presented Lifetime Achievement Awards by the President. The event was organized by the Ministry of Mass Media. President’s Secretary Udaya R Seneviratne, Minister of Lands Gayantha Karaunathilake, Lasantha Alagiyawanna and Media Ministry Secretary Sunil Samaraweera were also in attendance.